I had no idea what to expect before my first meeting with Dr Anna Lavelle. I did my homework: “in 2015 Scientific American Worldview: A Global Biotechnology Perspective named AusBiotech’s CEO Dr Anna Lavelle among the 100 most influential people in global life sciences” – so why on Earth would she be putting in time and energy to mentor me? This Imposter Syndrome-esque question permeates the mentality of the IMNIS mentees at the beginning of their year (which I’ve noticed has been touched on during IMNIS panel events), but dissipates as the mentee-mentor relationship grows. My first lunch meeting with Anna went for about two hours (and each subsequent meeting was not much shorter). She sent me away to brainstorm every single thing I wanted in my future job and what I didn’t want – down to the type of shoes I would want to wear to work every day. When I first met Anna, I had no clear idea of exactly what I wanted to do in the future, making it difficult to be detailed with this list. I have always enjoyed sharing interesting science, with young people in particular, and through this program I was exposed to the world of science communication. Anna gave me direction, and over the course of the year, my initial list became a clearer picture as we discussed the people I should meet, what steps I should take, the opportunities I should go for, and defining possible career paths and jobs. Surrounded by supervisors, mentors, colleagues, and friends in academia, Anna was one of the few people with whom I could talk openly about what I want to do and how to go about it. While I’m often told by some academics that extracurricular activities are “a concern” and “distracting”, Anna encouraged me to go for as many opportunities as I could and celebrated with me whenever I achieved something in science communication: internships/communication positions, awards, etc. She even supported me to the extent that she listened to my 3-Minute Thesis over the phone prior to boarding a plane so that I could get her advice before the grand final. I can’t share half of the “distracting” extracurricular activities that I do with my supervisors, and therefore to have a mentor with whom I can share my journey openly is something I’ve come to greatly appreciate. It’s difficult for me to distinguish which changes in my life over the past year are a direct result of the IMNIS program and which are ripple effects. Not only did my relationship with Anna help me to grow as a person, but the program itself also had a lot to offer. (My advice to the IMNIS cohort of 2018-19: Grab all of the opportunities!) 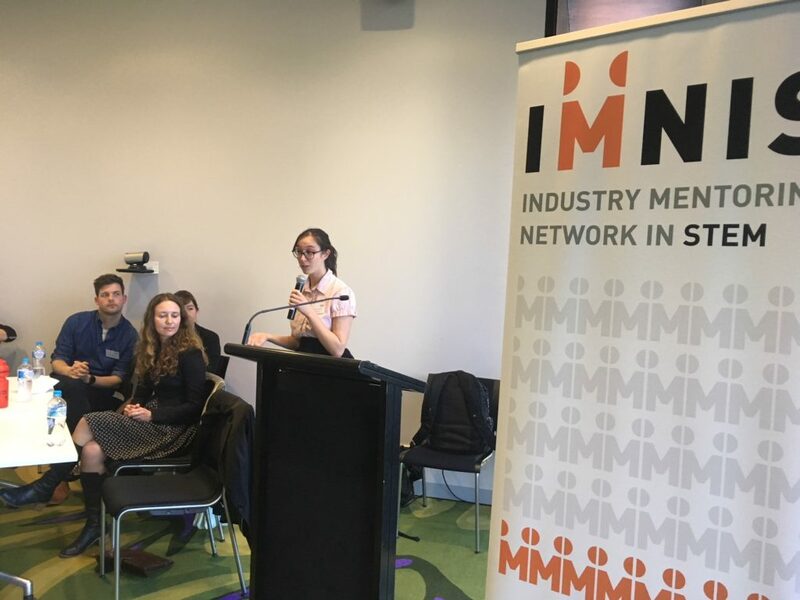 I represented The University of Melbourne in the “Pitching to Industry” IMNIS panel event (during which Anna supported me from the front row), which opened my eyes to a completely different perspective on my own work. 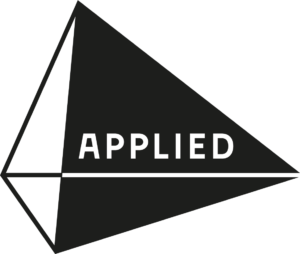 With constructive feedback from experts in commercialisation and R&D, I was invited to consider aspects of my research that I had never considered before: the financial impact of my work, how I would deliver any therapeutic, etc. As it is, my PhD research is focused on basic science, nevertheless, beginning to think about how any research area can become translational or how you can take it across scientific disciplines is a valuable skill. Outside of my studies, participating in the IMNIS program gave me confidence to strive for my goals and actively seek out opportunities to get me there. In November, I attended a STEM career panel held at the Royal Society of Victoria (RSV) in partnership with IMNIS where I met Mike Flattley, CEO of RSV. One coffee later, we had initiated a project to celebrate Victorian scientists and the RSV lecture series in the form of articles in their newsletter and website, and Twitter posts. I also had the determination to pursue other science communications roles, and over the course of the year I have been communications intern at the National Youth Science Forum and am now a science communications officer at RSV and the Convergence Science Network. I didn’t know where to look before, but there are so many jobs available to share and teach science and I now have a network of people with whom I can discuss what I can do after my PhD. The lessons I have taken away from this program are varied – some are more personal and others are more career-focused. I’ve tapped into my mentor’s network and met incredible people at networking events (including IMNIS events) who continue to support me in my endeavour to become a science communicator. Thanks to Anna, my official IMNIS mentor, as well as the mentors and role models I’ve picked up along the way, I feel empowered to pursue a path that gets me to wherever I want to go. Catriona Nguyen-Robertson completed a Bachelor of Science (Hons) and Diploma in Languages at the University of Melbourne (UoM), with a short study abroad course in the Tokyo University of Foreign Studies. During this time, she took part in the Undergraduate Research Opportunities Program (UROP) as a research assistant at the Western Centre for Health Research and Education in Sunshine Hospital, working on projects for the Australian Institute for Musculoskeletal Science (UoM), and College of Health and Biomedicine (Victoria University). Catriona completed her Honours year in the Department of Microbiology and Immunology (DMI), UoM, where she decided to stay on as a research assistant for four months before starting her PhD candidature. Catriona also has a large amount of experience in working with school students in science. She is a science mentor at the Gene Technology Access Centre (GTAC), where she teaches biology to students from years 5-12, a demonstrator in the DMI, and an In2Science mentor at Simmonds Catholic College. She also ran events for the Day of Immunology (high school immunology workshops), and National Science Week with CSIRO. 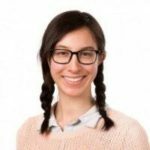 The aim of her PhD is to create novel reagents to identify and characterise specific subsets of “unconventional” lipid-reactive T cells that recognise abnormal lipids in skin cancers, mycobacterial infection, and skin allergy. Catriona is very passionate about educating younger students, and encouraging them to be engaged in STEM.